Magic: the Gathering's latest set, the Ancient Egyptian themed 'Amonkhet' is hitting the shelves of local gaming stores near you. 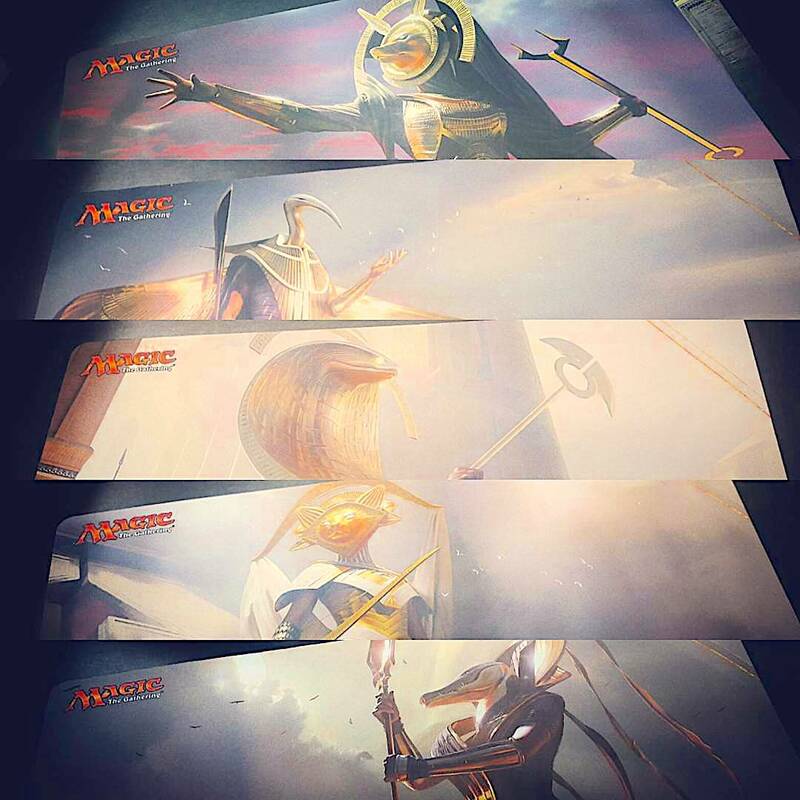 Attend the Amonkhet Launch at a participating store, and you may score the Launch Promo 'Oracle's Vault'. Should you find yourself near Barrie, Ontario (just a bit north of Toronto), drop on in to OMG! Games, and tell them MTG Realm sent ya. Anywhoos, as is our custom here, we picked up a Bundle, formerly known as a Fat Pack, and have produced this short video for you. Stop the presses and (if you had not already) read the 'Addendum to April 24, 2017 Banned and Restricted Announcement' posted today on the MAGIC: THE GATHERING website linked here. 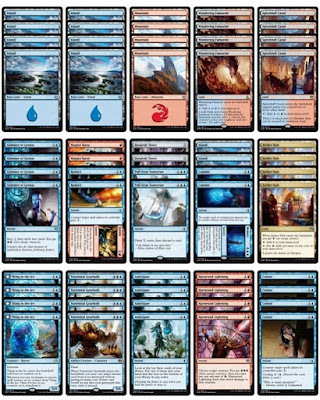 We do not think it a bit of a stretch of statement to say that the Copy Cat (Saheeli Combo) was driving people away from playing Standard. This appears to be generally true for some professional players, but most decidedly true for Friday Night Magic regulars like us at MTG Realm. Sadly, we've had spotty attendance over the last two months. Some missed events were personal, but in a large part, it was due to the dominance of threats, in the form of the Sahelli / Felidar Guardian card combo over potential answers to this. 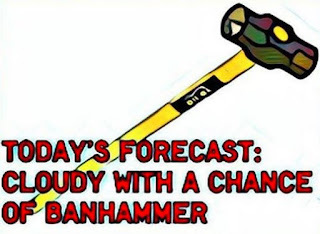 Wizards had applied a rapid solution to this impending crisis today. • As a direct result, we personally are re-invigorated to play standard constructed again. 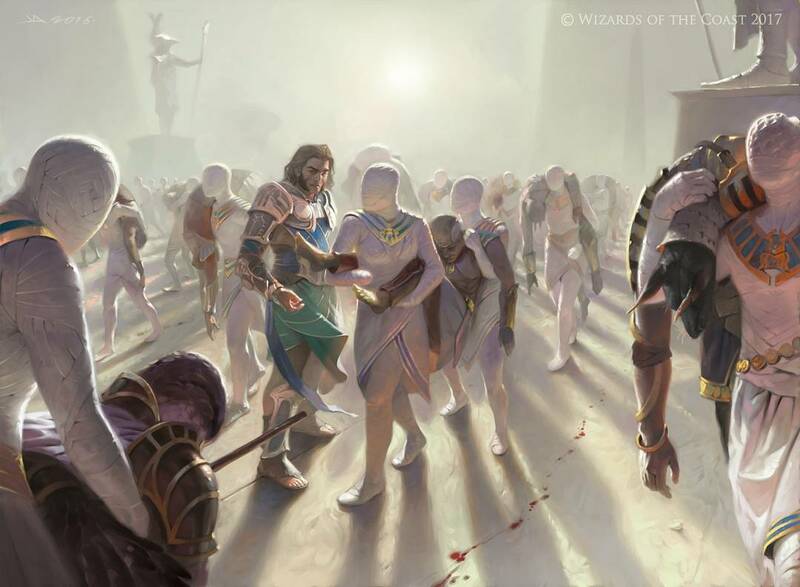 • As a direct result, we now fully expect that the problem of flagging Friday Night Magic attendance that we have personally seen in three local gaming stores would be solved. 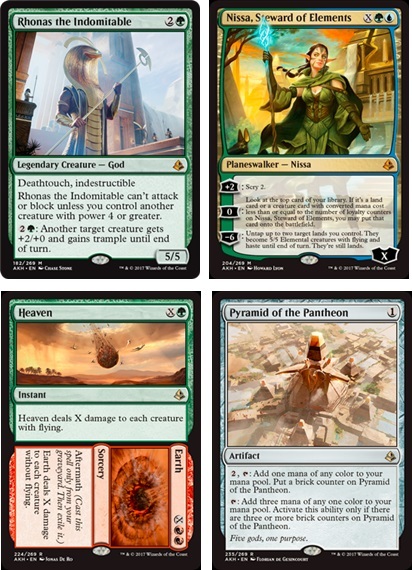 • As a direct result, we are now purchasing additional Amonkhet cards, and returning to our favourite past time - brewing rogue decks and taking these for a spin at our local gaming store. 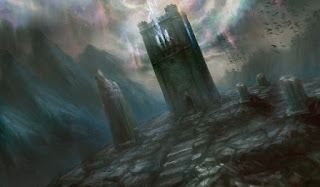 Those gamers who had fled the standard format to play other formats like Commander and Modern, may be further enticed to get back into standard with sought-after cards as Friday Night Magic promos, or perhaps ad-hoc participation promo cards so those younger or newer players who cannot crack the Top 8 spot may have some good incentive. Great move Wizards of the Coast ! Our thanks. 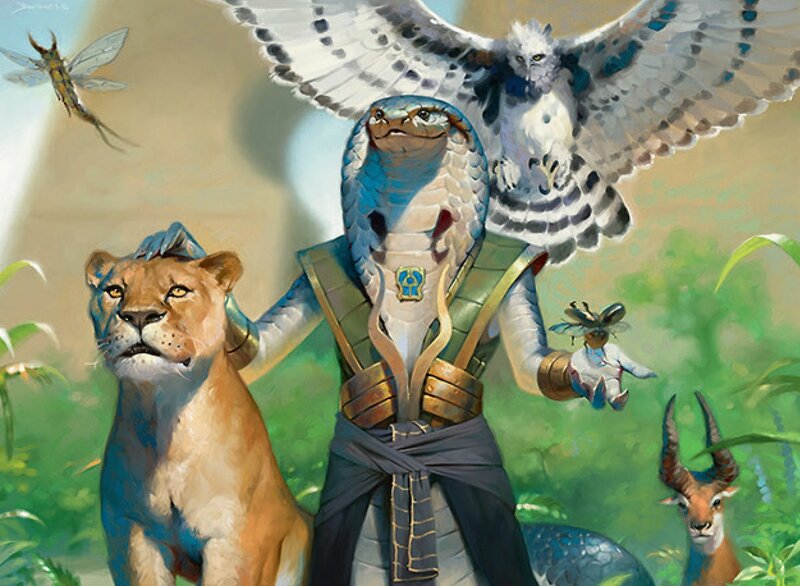 When the new Magic: the Gathering set, Amonkhet, releases this weekend, we have a few standard constructed decklists we want to try for Friday Night Magic, as well as a few derpy ones (cat tribal?) we want to fabricate for some fun casual kitchen-table gaming. We don't know what new break-out decklist may put up good results against the two dominant decks (Mardu Vehicles and Saheeli combo), but by gosh, we will try to break the monolopy with some rogue tech. Anywhoos, we want to direct your attention today over to the Wizards of the Coast Mothersite, as it is our favourite day of the week - Wednesday Magic Story. Today's story, from WotC writer / designer Ken Troop is pretty damn good and we were very much engaged. 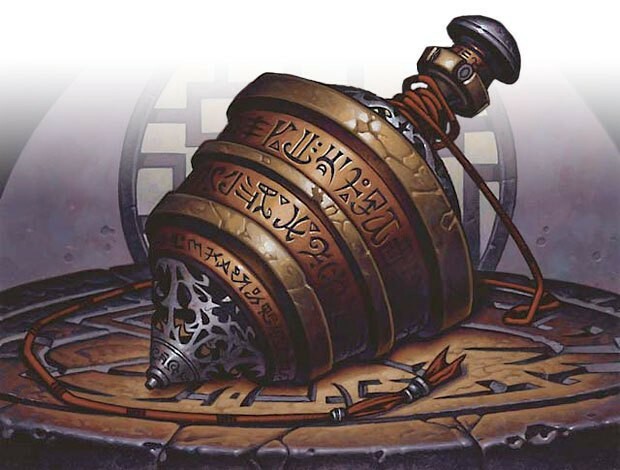 In Amonkhet Episode 5, 'The Hand that Moves', time is rapidly evapourating for the Gatewatch to plan and mount a response to the return of Nicol Bolas to the Plane of Amonkhet. 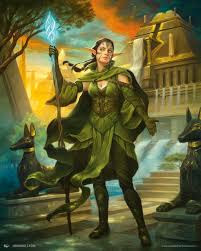 The main character today is Nissa, who has already acquired hints of Amonkhet's past and the dark meddling of Nicol Bolas. Nissa is disorientated by the poisoned / infected mana leylines of this world and seeks knowledge from the (blue-aligned god) Kefnet the Mindful, or the ibis-headed god. As she enters Kefnet's temple, she also inadvertently enters the 'Trial of Knowledge'. At this point in the storyline, it is hinted that Gideon has already entered his own trial at the invitation of white-aligned God, Oketra the True. • Trial of Solidarity (white)—This Trial tests your ability to work with others. • Trial of Knowledge (blue)—This Trial tests your mental capacity. • Trial of Strength (green)—This Trial tests your physical capacity. • Trial of Ambition (black)—This Trial tests your willingness to do what must be done. • Trial of Zeal (red)—This final Trial is a fight to the death. The Trial of Knowledge that Nissa finds herself in is perhaps better suited to Jace, but we find that Nissa is adaptable. The trial itself appears to be a cycle of waking nightmares where perhaps the unworthy are just simply trapped until they are mad. Nissa's ability to sense leylines, even faint ones, realise that this trial has been constructed with such power. Nissa is able to break out of this trap, to be challenged by Kefnet who wants to destroy Nissa for "making a mockery" of his trial. Nissa again adapts and risese to the challenge and discovers that the god too is constructed of leylines. The Planeswalker is able to manipulate the fabricate of Kefnet just enough to have Kefnet stop his attack and dismiss Nissa. We are far from certain what the angel in the story may represent, but we do have a few ideas. The angel does not appear to corporeal (real in this world), but more of a manifestation of another being, or perhaps even a characteristic of Nissa herself. We will need to read this over again and think upon it. A great story by Ken Troop ! Vintage: Gitaxian Probe and Gush is restricted. Anywhoos, as we do not play Legacy or Vintage, this subject is not our forté. We do know enough that the Miracles decklist in Legacy just took a direct hit, but what we are curious about is why the reprint of Counterbalance (another integral piece of this list) in Amonkhet's Invocations ? Righto - onto our fav format - standard constructed. Firstly, bans in standard is a rather tricky piece of work, and would be generally discouraged. 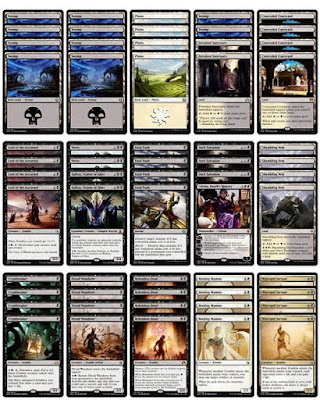 Having said that, we should note that there have been essentially two top decks since the last banned and restricted update - that of Mardu Vehcles and the Saheeli combo. There may be answers, existing and new (and perhaps somewhat poor) for the Vehicles list, but not very much for the Saheeli combo. Playing against this is honestly quite 'un-fun'. We've talked to quite a few Magic: the Gathering players (email, on-line, and in-person) and most have indicated that standard constructed is taking a hit for attendance at their local game stores. 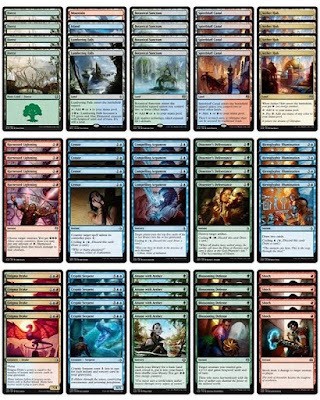 Stores who are running a Modern or Commander event during Friday Night Magic are seeing these standard players now come back in to play that format. Moving on to last weekend's Amonkhet PreRelease, which we attended at OMG Games, in Barrie, Ontario. We did not pull anything very special and attempted a Blue / White 'good stuff' thing which did not do very well at all. Guess you can't win 'em all. Magic: the Gathering players should be a rather happy bunch today as We are finally headed into the Amonkhet PreRelease Weekend. Should you find yourself in Barrie, Ontario - just a little North of Toronto, then drop by OMG Games and Collectibles (near Georgian College in the City's North end). Starting tonight at midnight (after Friday Night Magic), they will be running Amonkhet Prerelease events all weekend long. Here at MTG Realm, our favourite format of choice is Standard Constructed. We are happiest sequestered within our lair and brewing up decklists, most of which would not likely graduate beyond our kitchen table to the game store. For the last few years, we've been fans of "KenjiWayfinder". 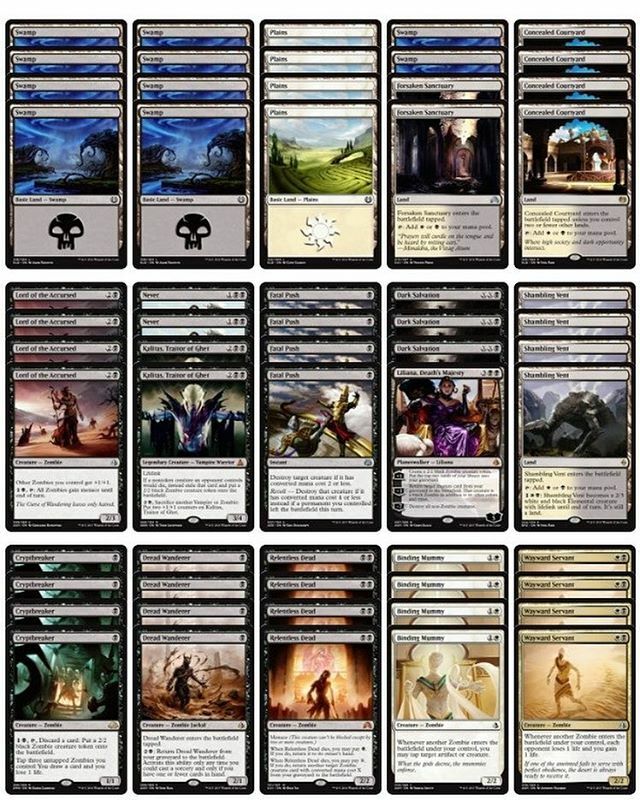 These were batches of standard constructed lists created by Kenji Tsumura and friends of Japan's premier Magic: the Gathering gaming store 'Hareruya'. Great ideas using the new set's card offerings were created into new lists or supplemented existing strategies. This year with the upcoming Amonkhet release KenjiWayfinder has been rebranded as HareruyaWayfinder, which is perhaps more appropriate. In this new set, the following master deck-builders provided input - Mr. Anchan (Yuta Takahashi), Hara (Kenta), Igawa (Yoshihiko), Matsura (Atsushi Ito), and Jeremy Dezani who had recently arrived in Japan to participate. Here is the HareruyaWayfinder "Ammonket" edition ! There is a number of news-worthy Magic: the Gathering items to cover off today here on MTG Realm, so without further ruction, let's get to it. 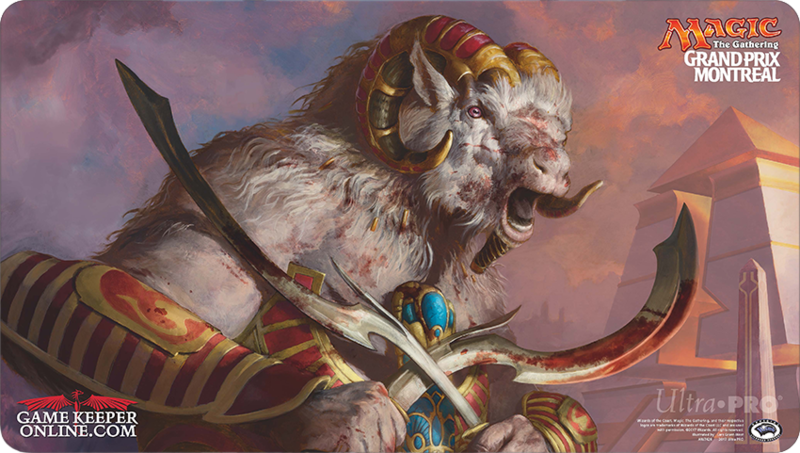 Lovely event-exclusive playmats are up for grabs featuring the art from Glory-Bound Initiate, Bloodrage Brawler, and Hazoret the Fervent. Just announced today on the mothersite. Featuring new artwork on many cards, the set brings an array of massive Angels, Sphinxes, Demons, Dragons, and Hydras alongside some of our favorite and most memorable spells. Every box of Iconic Masters contains 24 booster packs—each with fifteen randomly inserted game cards, including one premium card in every pack. Get your friends together to embark on one of the most iconic and power-packed Draft experiences yet! Hasbro's first-ever convention 'HASCON' is scheduled for September 8–10 to Providence, Rhode Island and as Magic: the Gathering is celebrating its 25th Anniversary, there is to be a number of MTG events, panels, play experiences planned. Of note, there is to be a showcasing Magic's next fall set Ixalan, including a Prerelease event for Iconic Masters. From yesterday's Magic Story post titled 'SERVANTS', by Kelly Digges. If you had missed it, please pop over to the link provided here before reading further. EPISODE 4 - Liliana knew that dragon-slaying was only part of the reason she came to Amonkhet… She has a demon to deal with first. In yesterday's story, Liliana is the central character. We learn further of Lily's real motivation to travel to Amonkhet. Not so much to help fellow members of the Gatewate Planeswalkers in taking down Nicol Bolas (and minion #1 Tezzeret), but to find and eliminate the demon Razaketh, who is one of four of her creditors. "Didn't I take command of the Chain Veil to blast you out of that wurm's belly when you arrived here?" A review of the MTG fan forums following the MTG story line here demonstrate that it is not just us that is starting to suspect that the enigmatic Raven Man may prove yet to be a manifestation of the evil scheming Elder Dragon himself who is manipulating events through Liliana. Liliana, accompanied by Jace investigate the mummy factory vault where the 'Annointed' are prepared for their post-mortem eternal servitude. We discover that Razaketh appears to be the gatekeeper to the afterlife. Things go sideways real quick with a confrontation with Temmet, and a room-full of the recently embalmed dead initiates who appear to be control by the cartouches. There was some news of note for Magic: the Gathering gamers this morning on the Wizards of the Coast site which, if you had not already seen, should do so now. 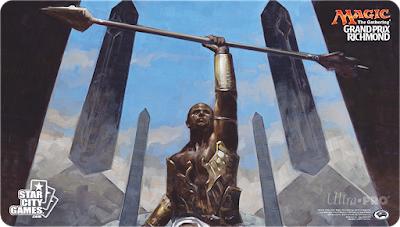 Specifically, read Helene Bergeot's post on competitive play linked here (which also reveals the name of the new fall set), and the announcement of this year's Commander 2017, linked over here. This year's Commander (formerly Elder Dragon Highlander or 'EDH'), is to be release on 29th September and will feature FOUR and not the typical five pre-constructed Commander decks. 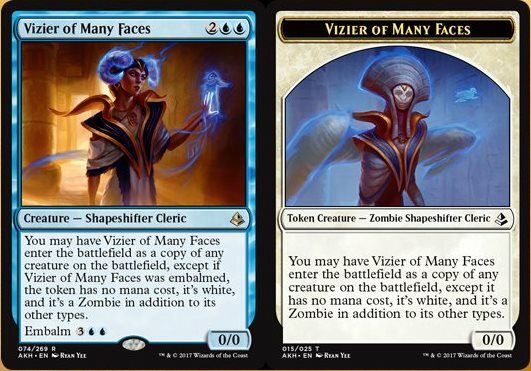 Previously, Commander products were based on the conventional colour where (white, blue, black, red, and green) and the combinations therein, but this year, it is to feature "some of Magic's most popular, and interesting, tribes". The four new tribal-themed, 100-card decklists are to include 56 new, (never-printed before) cards. With a suggested retail price of about $35 bucks (U.S.), it is to be released in Japanese, Spanish, Italian, Portuguese, French, German and English. Director of Organised Play Helene Bergeot indicated that more details are forthcoming during the planned big June announcement, but did have the following important MTG news. In summary, the fall set has been officially revealed as named IXALAN, and will be releasing on September 29, 2017. This set will be legal for the 2017 World Championship's Standard and Limited play. Pro Tour Ixalan is to be held November 3–5, 2017. Grand Prix Providence and Shizuoka will both be Team Sealed GPs as part of this release weekend. You may recall our previous post about the fall set back in early December (linked HERE), where Trifecta Research had provided a number of short questions designed (what appears) to be a customer profile and purchase preferences / habits. Also included where a number of mocked-up product images where the survey participant also provided opinion. Among those images were booster pack images with the names 'Atlazan' and 'Conquest of Power'. There was quite a bit of speculation around this of course in the weeks following. 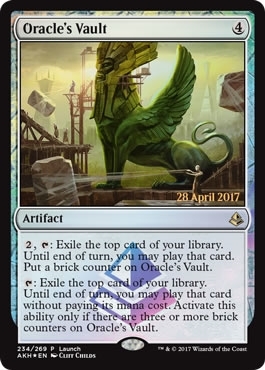 It is clear now that Ixalan is the real set name. 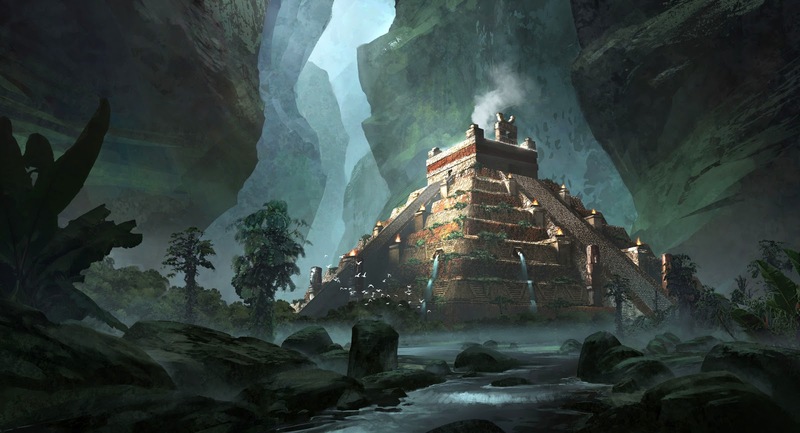 Speculate away, but we here at MTG Realm think that this does very much sound like a mesoamerican theme. Think Olmec culture and Gods such as the feathered serpent diety Quetzalcoatl. Moving forward with this name, it may be of interest that IXALAN.COM was a domain name registered 23rd September, 2016. It is also unlikely that 'Conquest for Power' is to be the name of the second set in this block, but it is interesting that the domain RIVALSOFIXALAN.COM (Rivals of Ixalan) was registered on 17th March 2017. Food for speculation there. That is a wrap for today, catch up with you again soon. Those who earn a glorious are given the highest honor. They are carried on funeral barges through the gate to the afterlife. Headlong is the only way to pass through the gate to the afterlife. 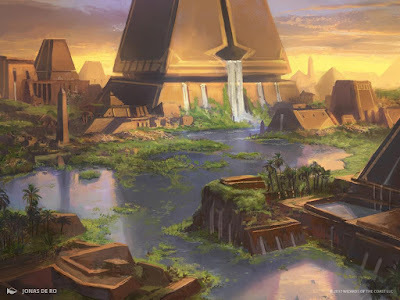 Here at MTG Realm, we've had a nice 'n' quiet Easter with friends and family with little or no talk about the upcoming Magic: the Gathering set, Amonkhet. We did sprinkle one or two posts of little concern over at our sister site, MTG Realm on Tumblr, which is creeping towards 15,000 followers. On Good Friday, Wizards of the Coast posted the full Amonkhet spoiler and we have to be honest here . . we really had not a chance to look at the full set at all. Having said that, we did look very specifically for one card - a card which was not in the set but was named - God-Pharaoh's Gift. This card name comes from Gate to the Afterlife. 2, Tap, Sacrifice Gate to the Afterlife: Search your graveyard, hand, and/or library for a card named God-Pharaoh's Gift and put it onto the battlefield. If you search your library this way, shuffle it. 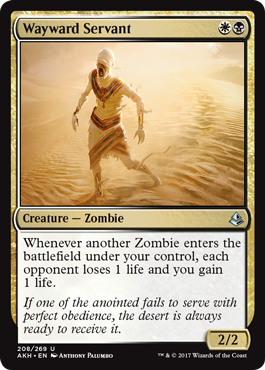 As it stands, there is no card with the name 'God-Pharaoh's Gift', so we can expect this in the next set 'Hour of Devastation'. It is time to speculate just what God-Pharaoh's Gift may be. First, it appears to be a permanent which may be put on the battlefield. Secondly, the table has been set for that evil Elder Dragon Nicol Bolas for Hour of Devastation. We cannot imagine that Bolas would have a 'gift' to give to any unless it had somehow served himself. We have a feeling that although this card may provide benefit(s) to the player, one should expect a wicked downside. 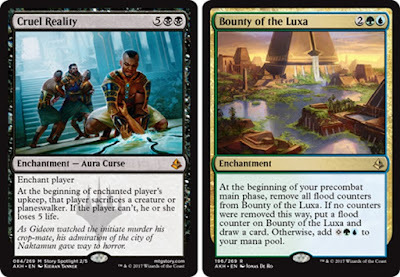 Lastly, from a flavour / story / vorthos point of view, one is sacrificing a benefit of 'life and loot' with Gate to the Afterlife, which has us speculating that there may be a polar opposite effect provided in God-Pharaoh's Gift. Anywhoos, that's all for now. We are looking forward to reviewing the full set over the next few weeks and will be paying close attention as to how the metagame absorbs this next set. 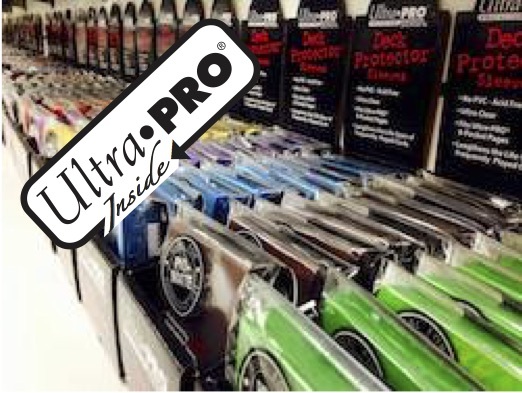 Don't forget to show your colours for you favourite Amonkhet God with lovely looking gaming supplies from Ultra PRO. We are heading into the last and final week of official Magic: the Gathering Amonkhet previews. We are also heading into a nice long Easter weekend, where we will be going off-line and getting analog with some Commander and Casual games. 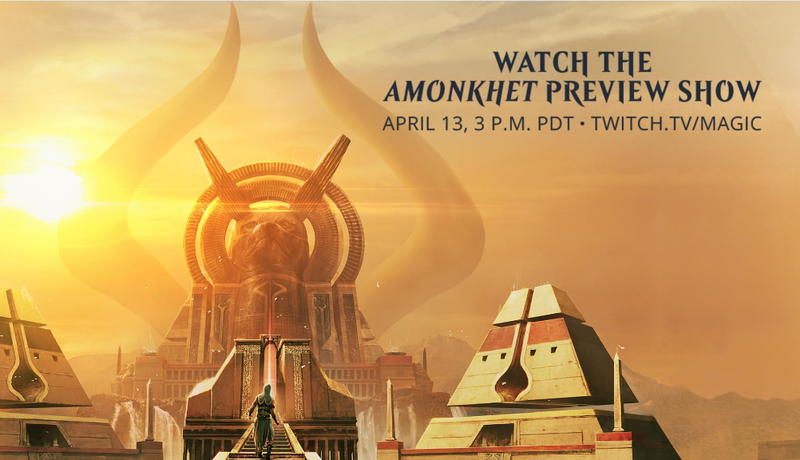 We want to remind you to tune in tonight for the Amonkhet Preview Show on Twitch linked here. The show, hosted by Marshall Sutcliffe, starts at 6 PM Eastern, and is expected to have Magic R&D members Mark Rosewater, David Humpherys, and Mark Winters. 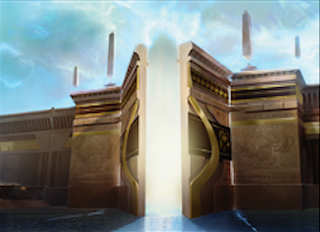 We should get caught up with all the Amonkhet spoilers and previews out today, so let's have at it, as there is a lot to cover off. 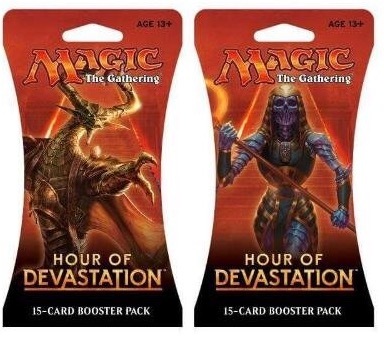 Want to know what Tokens / Emblems Amonkhet will have ? There are 25 tokens for Amonkhet. 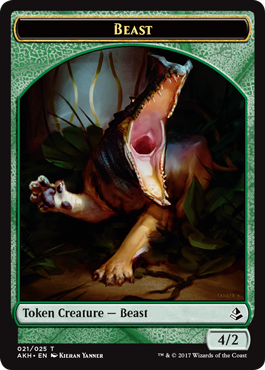 Every creature spell with Embalm has a unique matching token. If you've arrived here at MTG Realm, without first visiting the mothersite to read today's Magic: the Gathering Story, then we suggest you take a U-Turn. Today's Magic Story, The Writing on the Wall, by Alison Luhrs, delivered another engaging and exciting short story of our Gatewatch cast of characters on the Plane of Amonkhet. Just as our boy Hamlet said, "Something is rotten in the state of Denmark", and Nissa (Steward of Elements) is the first to catch on as to just how damaged things are, and the coming danger. Meanwhile, Gideon (of the Trials, or 'MeatSlab'), is quite hopelessly star-struck with Oketra and quite oblivious. 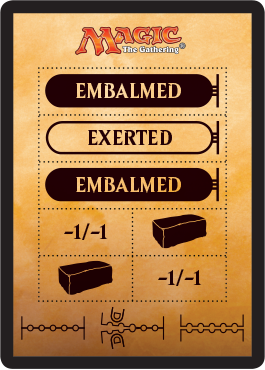 In other news, the MTG Realm HQ could use some of the 'Anointed' (mummified dead) to housekeep. Kudos to Hapatra, Vizier of Poisons for this weeks funny - ". . . They all got laryngitis at the same time." 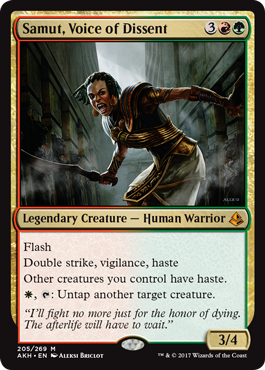 Anywhoos, let's get to today's Amonkhet spoilers and previews ! 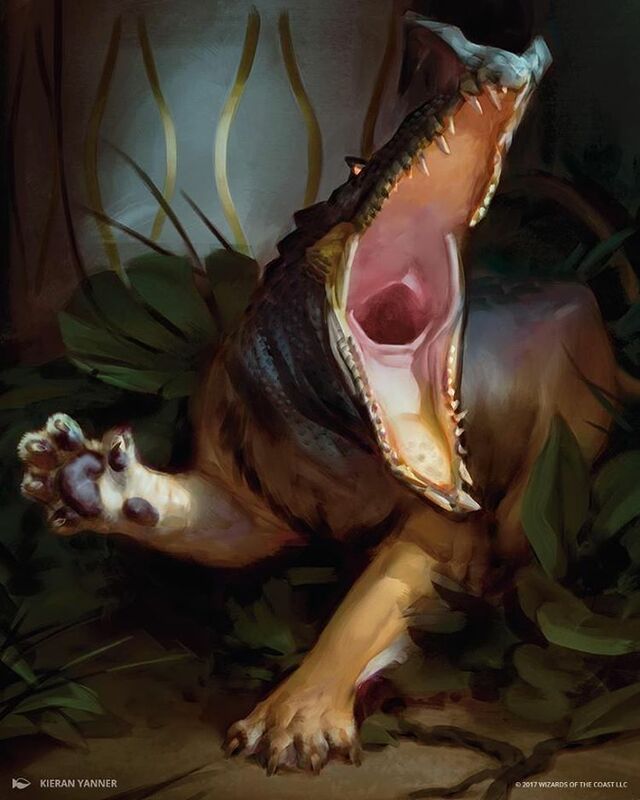 Whenever this creature becomes the target of a spell or ability for the first time each turn, counter that spell or ability. Sparkling Suns deals 3 damage to each creature. 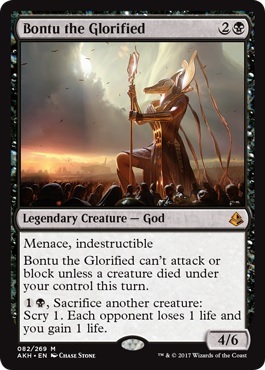 • Bontu the Glorified, illustrated by Chase Stone, previewed by the official MTG APAC (Asia-Pacific) Facebook Page. Seems to be some nice synergy with Hidden Stockpile or Yahenni, Undying Partisan and a number of others, which may make it worth your while to get this out. 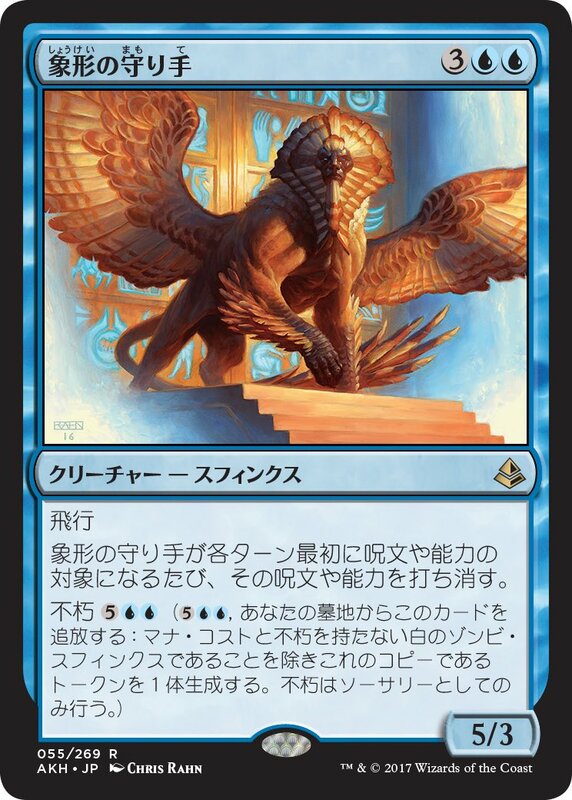 • Glyph Keeper, illustrated by Chris Rahn, previewed by Tokyo MTG. Shimmering or Jetting Glasskite from Betrayers of Kamigawa. Nice lated game finisher for blue and your opponent will need to work a little harder to have something stick to this. Having said this, you would have equal trouble to try to buff this or have it enchanted with an aura. • Vizier of the Many Faces, illustrated by Ryan Yee. Send in the Clones! Mimic those EtB effects. 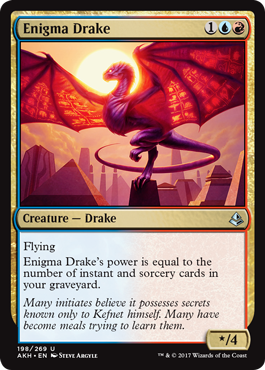 • Enigma Drake, illustrated by Steve Argyle. Spellheart Chimera had a toughness of 3. • Wayward Servant, illustrated by Anthony Palumbo. Nice Soul Wardern for Zombies. • Samut, Voice of Dissent, illustrated by Aleksi Briclot. A smörgåsbord of abilities here which seems a bit awkward, but we are still tempted to run this in a Naya Commander build. • Sparkling Suns, illustrated by Raymond Swanland. Damn fine burn sorcery, with cycle ability. Might be a Hekma, but you still need an big SPF. • By Force - WOW. NERF ALL THE ARTIFACTS! 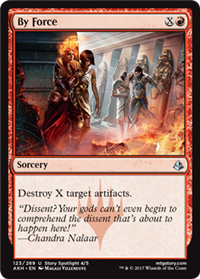 In other news, we think that Chandra takes offense to the Sarcophagi that her and Nissa had found in the alleyway in today's story. Yet another clue of the complete $hitstorm about to hit Amonkhet. Another scorcher of a day in the Amonkhet here in the Scouring Sands of the Shefet and the Ramunap Broken Lands. 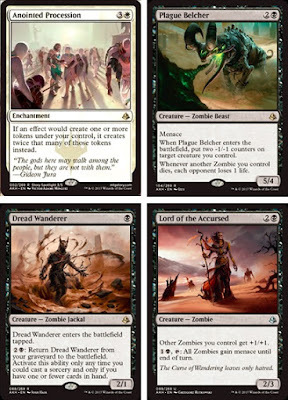 We suggest that you may want to pop over to our sister site, MTG Realm on Tumblr to catch up with today's amazing art (and Amonkhet spoiler) catches - look for the return of the 'Desert' subtype for Sunscorched Desert. Here is a brief summary of some of today's highlights, and be sure drop over to the Wizards of the Coast Amonkhet page to see the updated card image gallery and the (very) much anticipated story for tomorrow. Nissa, Steward of Elements - Wow! XUG 'Walker with X starting loyalty is kinda unique. +2 gives you a scy, 0 is besties with the first ability with a potential cheat straight into play, while the ultimate at -6 delivers TWO animated lands which become 5/5 critters with flying and haste. 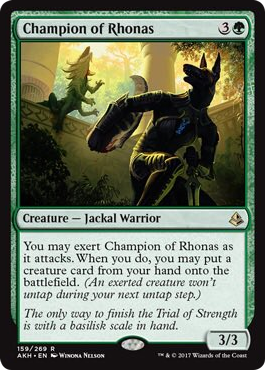 Rhonas the Indomitable - here is our green Amonkhet god. Featuring a solid 5/5 deathtouch / indestructible body for 2G mana which 'animates' after you have a creature with power 4+ onthe battlefield. Activated ability for 2G buffs a creature +2/0 and provides trample. Anointed Procession - Is the White Parallel Lives and could be very relevant in a set with warrior, cat, drake, zombie, insect, beast, snake, and hippo tokens. Loads of other synergies to look for such as the Life gain with Annointer Priest. Plague Belcher - worth the 2x -1/-1 counter hit to a creature you control for the 5/4 zombie beast with menace. Here is the full list of what was previewed today. Today marks the herald of the second full week of official Wizards of the Coast Amonkhet previews. Magic: the Gathering gamers we've talked to about the set so far are pretty hyped. If there is any criticism, it is with the new split-card mechanic 'Aftermath', and while it delivers on the flavour for the set, it seems to kinda fall flat. We suggest you pop on over to MTG Goldfish to read SaffronOlive's detailed discourse on this. Anywhoos, let's round up the latest Amonkhet spoilers / prviews out for today. Oketra the True, the White Amonkhet God, illustrated by Chase Stone. Duble strike, Indestructible, with relative ease to be able to attack / blocke with condition of controlling 3 other creatures. 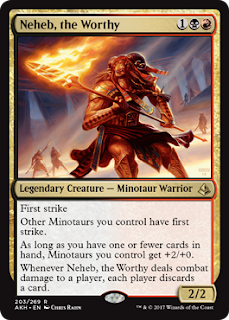 Mana sink to create a weenie is OK.
Neheb, the Worthy, illustrated by Chris Rahn. If you were looking for a legendary Minotaur, look no further. 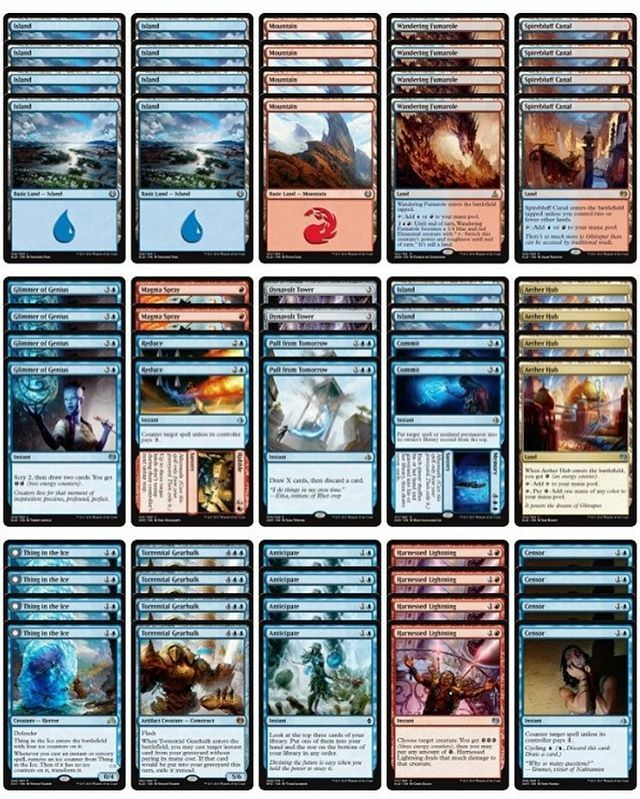 With this Minotaur lord (which took us completely by surprise in this set), there is nothing stopping us in getting a casual or Commander decklist together with a strong tribal theme. Liliana's Expertise, Zombie tribal support, illustrated by Kieran Yanner. Five mana delivers a pump and an immediate 6 power, not bad at all. Vizier of the Menagerie, Naga Cleric illustrated by Victor Adame Minguez. 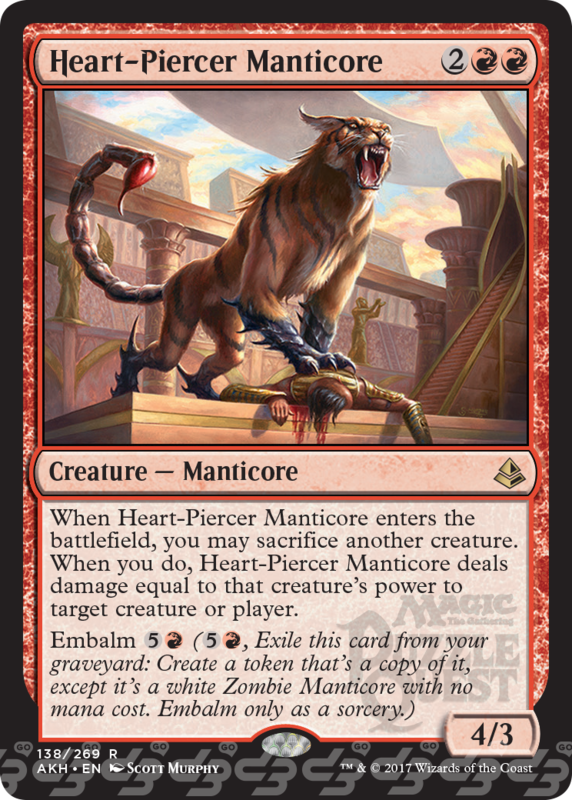 Solid body and 3 powerful effects ensure this to be a fan favourite across mulitple formats, and may be be good in Modern Zoo. Censor, Uncommon conditional counterspell, illustrated by Robin Stanko. Similiar to Urza's Legacy Micalculation. Controller must pay 1, and cycling for 1 blue mana. Honored Hydra, illustrated by Todd Lockwood. Hail Hydra! Zombie Snake Hydra are a lot of subtypes here. A 6/6 trample for six mana is meh, but you may feel better about this when using Champion of Rhonas to cheat it onto the battlefield. Never // Return, illustrated by Daarken. A rather nice black sorcery, still wish it was instant speed to keep Gideon of the Trials under $50. You can build you very own Never - to - Return with Hero's Downfall, Shamble Back and Vile Rebirth. Pull From Tomorrow, illustrated by Sara Winters. Decent draw and discard tech for when you need to filter. Unburden, illustrated by Svetlin Velinov. An old reprint from Scourge (I personally did not understand what was going on in the original art) Good cycle and control here. As it is Friday, we encourage you go henceforth this evening to a local gamery shoppe, (like OMG! Games, here in Barrie, Ontario), and take in a fun filled evening of Friday Night Magic. 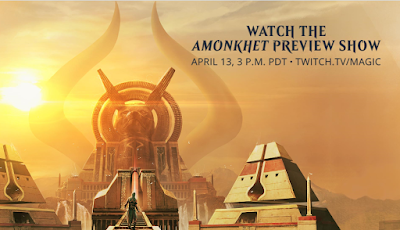 Week number one of official Magic: the Gathering Amonkhet previews is closing now and should we get additional previews over the next 24 hours or so, we'll update this post. We also invite you to check out our sister site MTG Realm on Tumblr, where we've been rather busy posting this, that, and yes, the other. Speaking of Tumblr, news from MaRo's Blogatog on Tumblr indicate that we can expect one more Planeswalker to join the Amonkhet set, and that (due to popular demand), there is to be a lesser presence of the Gatewatch starting with the next Magic: the Gathering set, Hour of Devastation. Also of note, our friend Trick Jarret (@TrickMTG), the Global Content and Community Manager for Magic: the Gathering indicate that in the Amonkhet 'Bundles', we can expect that 20 of the 80 basic lands (in the land pack) are to be the beautiful full-art lands! 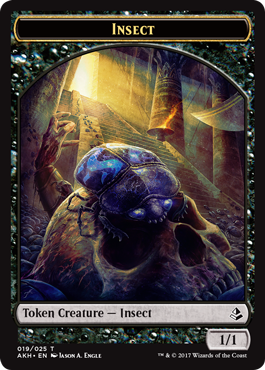 Trick also indicates that the Bundle will have a pack of double-sided tokens, including those new 'Embalm' creature. This is awesome news ! Rise of the Second Sun, illustrated by Noah Bradley. Alternate win condition which may actually win you the game. There appears to be a theme of '7' with this card. Cruel Reality, illustrated by Kieran Yanner. Gids (aka MeatSlab) is not having a good day here as shown on this aura curse. We've not seen a curse since Innistrad. Powerful effect here. Champion of Rhonas, illustrated by Winona Nelson. Jackal Warrior is going straight to value town here. Ain't nothing quite like cheating a card into play, even with exert. Leverage with vigilance or slide a hasty critter when the Jackal goes into the red zone. Angel of Sanctions, illustrated by Min Yum. A feathered O-Ring, which can boomerang back with embalm for an encore. Hell yeas - Zombie Angel. New Perspectives, illustrated by Darek Zabrocki. Six mana seems a bit steep here, but hey - there may be a fun 'n' janky decklist with this. Bounty of Luxz, illustrated by Jonas De Ro. So much flavour here. As mirrored in the ebb / flow of the river, this card cycles mana / flood counters.